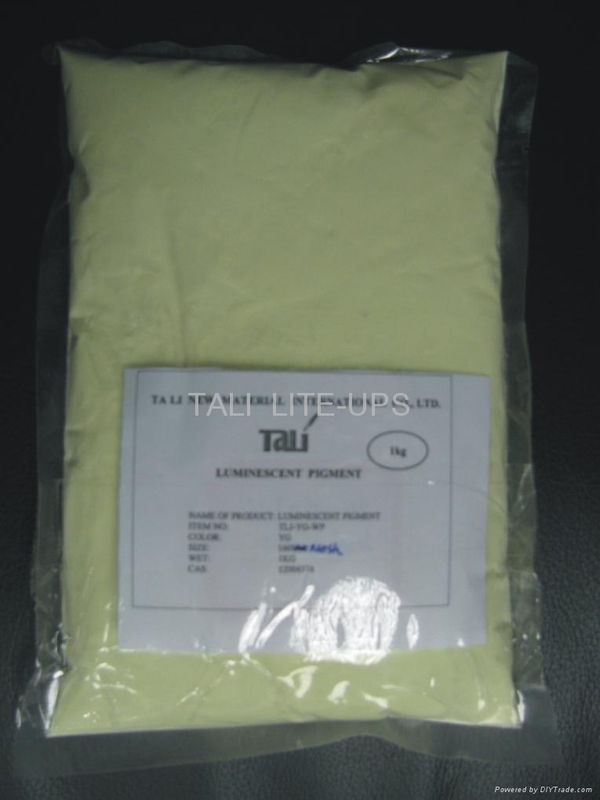 Ta Li New Material International CO.,LTD. 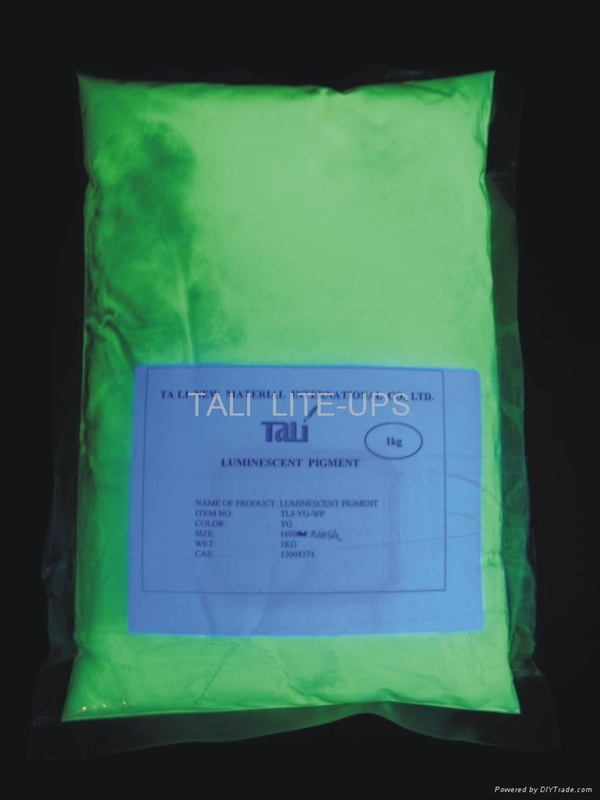 luminescent pigment (SrAL2O4:Eu.Dy) which is aluminum acid super-long afterglow luminescent powder possesses high capacity of absorbing, storing and luminosity. It absorbs some visible light for 10 to 30 minutes, and luminescence spontaneously for 12 hours after the visible light is removed. 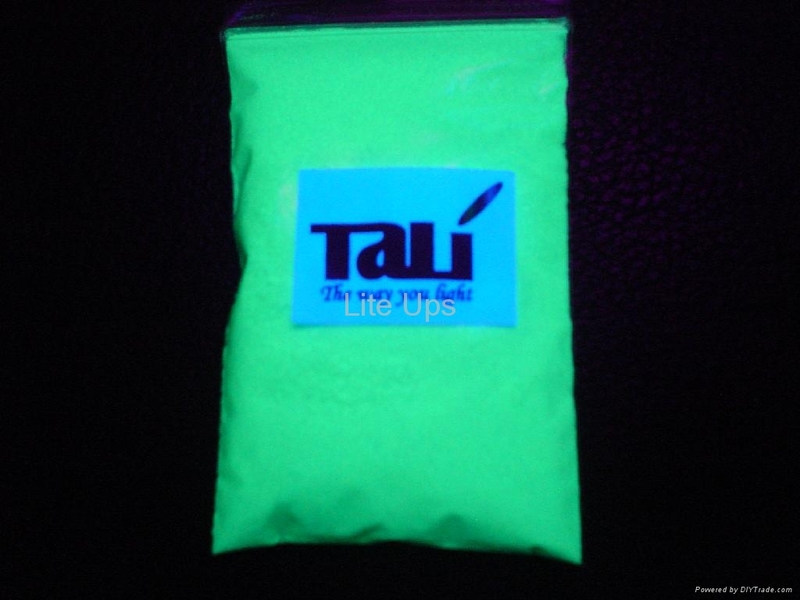 As proved in specific application, it displays effect of long after-glowing and chemical stability, longevity (permanently keeping the feature without broken the crystal structure), enduring the different temperature( the luminance is stability from -60℃ to +500℃),especially for the solvent durability as our feature. At the same time, there is no the radioactive substance, the element of harmful heavy metal and pollution. It’s also harmless, non-burning and non-exploding.